The legendary metal icon left an indelible mark on local music. Bruce Corbitt spent his life pursuing his American dream onstage. Named after the Caped Crusader, he wore his long hair like a heavy metal barbarian, wielded a chainlink microphone like a magical weapon, and slayed fans around the world with his rapid-fire vocals. When he was diagnosed with esophageal cancer more than a year ago, he poured the same energy and intensity he unleashed onstage into his fight with an enemy that kills approximately 1,620 people each day, according to the American Cancer Society. This Batman-esque willpower helped him survive multiple stabbings in the ’80s and, more recently, heart disease. It kept him going when his Stage 3 diagnosis became Stage 4 in December 2017 and was on full display when he entered hospice care on January 11 of this year. He died on Friday afternoon at age 56. Corbitt first rose to prominence in the local metal scene in the ’80s when he became the frontman for local thrash metal icons Rigor Mortis. It was a dream come true for the fan-turned-singer, whose machine-gun vocals were the perfect match for the light-speed licks of his friend and guitarist Mike Scaccia. The band would eventually land a deal with Capitol Records. Corbitt and Rigor Mortis parted ways shortly after the release of its self-titled debut album, a move that bassist Casey Orr later said was a mistake. More than a decade passed before the original members reunited in 2005. The quartet landed onstage at Ozzfest in Dallas and headed overseas to play a festival in Europe. 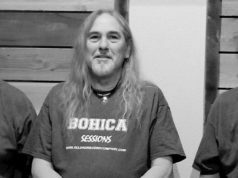 Corbitt would go on to form Warbeast with local metal stalwarts Alan Bovee, Joe “Blue” Gonzalez, Rick Perry, and Scott Shelby. Shortly after their formation, the band landed a record deal with Housecore Records, a label founded by former Pantera frontman Phil Anselmo, and released three pulverizing albums –– 2010’s Krush the Enemy, 2013’s Destroy, and 2017’s Enter the Arena –– and one split EP, 2013’s War of the Gargantuas, featuring Anselmo singing on two of the four tracks. 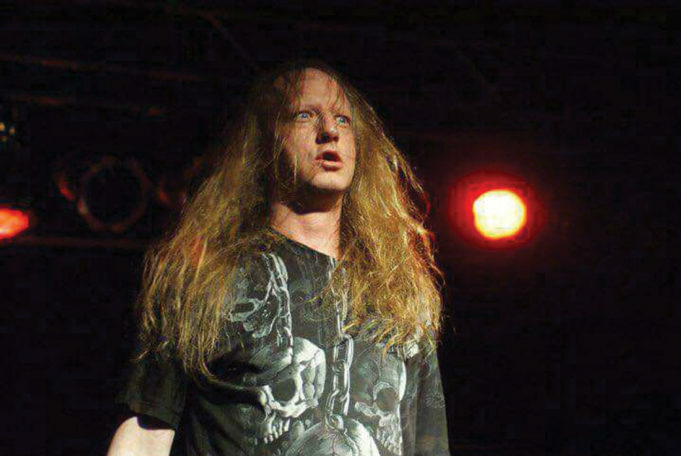 Corbitt returned to the studio with Rigor Mortis in 2012 to record a new album. Later that year, they played Corbitt’s 50th birthday bash at The Rail Club in Fort Worth. Scaccia collapsed halfway through the set when he suffered a heart attack. He was pronounced dead at Texas Health Harris Methodist Hospital in Fort Worth at the age of 47. Two years later, Rigor Mortis released Slaves to the Grave. A few months after a conversation we had in January 2017, doctors discovered a pecan-shaped tumor in his throat and realized it was Stage 3 esophageal cancer. He chronicled his experience on videos posted to Facebook. Some days were better than others, and his fans and loved ones were always there to cheer him on or lend a shoulder to cry on when his battle became overwhelming. During his two-year fight, he defied doctors’ expectations by living longer than predicted. 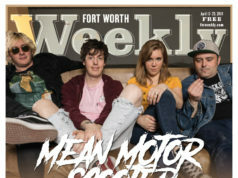 He returned to the stage last April to renew his vows with his wife and again in July to be inducted into the Fort Worth Music Hall of Fame at the Fort Worth Weekly Music Awards at the iconic Ridglea Theater. In December, he underwent another experimental treatment. Only this time, his daughter donated her blood to help him. It seemed promising, and he was in good spirits. “Batman and Batgirl joining forces by combining our blood together,” he wrote in a December 27 Facebook post. A couple of weeks later, his health began deteriorating, and he entered hospice care. He spent several days at the hospital and returned to his Batcave in Irving a week later where, wrapped in an L.A. Rams blanket, he was able to watch his beloved team beat the New Orelans Saints in overtime and head to Super Bowl LIII to face the New England Patriots. You know damn well he’ll be watching the game in heaven.